Most of us, regular people, are used to think of Magento as either a free open-source cart, that’s like a 17x17x17 Rubik's cube - impossible to deal with, or a robust enterprise platform only Richard Bransonish dudes can afford. Well, good news, regular people, that all has changed recently with the release of Zoey - a Magento-based hosted solution. Being a few month old, it’s already popular and is likely to change the current market situation, according to some experts. Therefore, we’ve decided to take a closer look into what lies behind that gentle name. Today, we’re going to review Zoey. Let’s go! Ain’t nothing more important to us, sloths, than ease of use. Considering the complexity of original Magneto, we were majorly relieved to discover that Zoey’s admin panel is straightforward, convenient and not bloated with tons of unnecessary features. What’s particularly exciting is design management - the cart provides an easy drag-and-drop editor that allows to place visual elements any way you want, and some advanced deep-customization options for savvy users. There’s a decent selection of themes offered, all beautiful, stylish and free (take that Shopify). Pick one of them as a starting template and do virtually anything with it - the cart gives you total freedom. If you ever screw up or get confused - just contact Zoey’s support. The guys will advise or even themselves modify your design, if you ask them to. 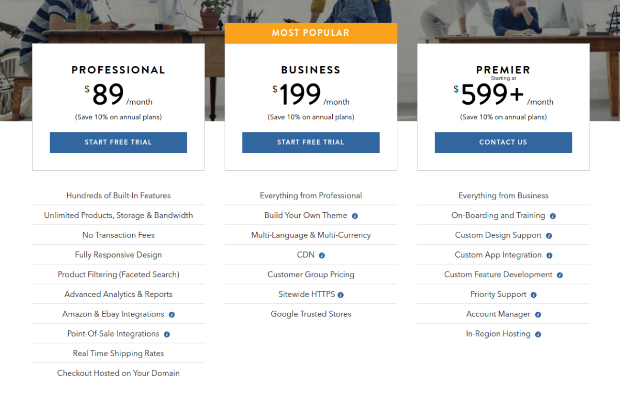 Zoey offers a 14 day trial period and three pricing plans - Professional ($89), Business ($199) and Premier ($599), that don’t look that tempting price-wise. However, unlike its most prominent competitors, the cart doesn’t require transaction fees. Depending on how big your business gets, it can save you lots of money. There is also an option to pay annually and get 10% discount for each plan. Not bad. As for now, Zoey’s support is excellent. Great knowledge base, FAQ section, ability to request/vote for features and very attentive support managers. We hope all of that is not just a market newcomer’s thing to get clients at the start, and they’ll keep such meritorious attitude in the future. We’ll see. Of course the more you pay, the more privileges you get - premium plan entitles to a personal account manager and what’s called a priority support - ability to get tickets answered out of turn, and reach Zoey via phone without having to schedule a call - the other two plans will make you do so. 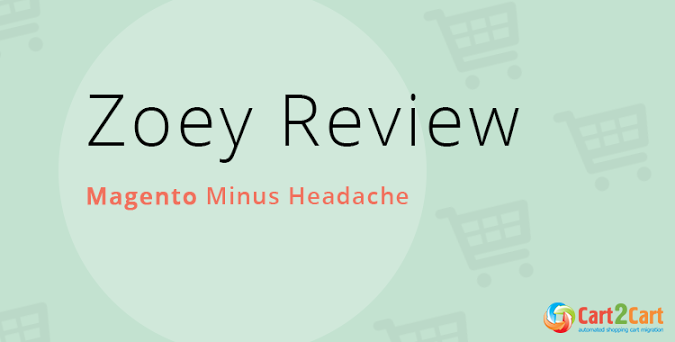 Despite all praises, Zoey’s still built on Magento architecture, and thus is quite “heavy”. If you install lots of extensions onto it, it can reduce site’s performance speed and damage your traffic/conversion. So, be sure to enhance resources as you increase the number of features. Though not as famous yet, as some of its hosted competitors, Zoey is, without a doubt, a promising e-Commerce solution. Targeted mostly at businesses that have overgrown the functionality of the “easiest” platforms, Zoey is still simple enough for enthusiastic beginners. Well, simpler than Magento anyway. We have high hopes for the cart and are glad to announce that automatic migrations to Zoey are now available within Cart2Cart service. So, if your needs exceed the capabilities of your current platform, see how your store looks on Zoey right now, using a free Demo Migration!